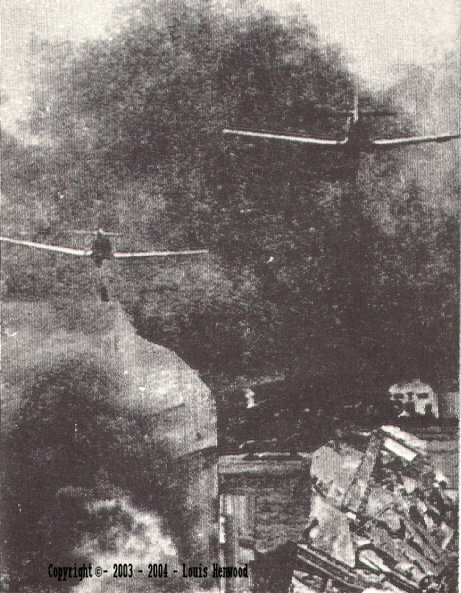 The gunners of anti-aircraft batteries were instructed to shoot at mines while they floated down from the sky, and a good number of them were in this way exploded while still in the air, although it is reasonable to assume that most of the Germans and Italian airmen did try to hit their objectives, it is an undeniable fact that many thousands of dwelling houses were destroyed during the German blitz which took place between January and May 1941, countless bombs were dropped, the heavy bombing of Malta created universal interest, the reading public in many countries became Malta conscious, in the overseas press Malta began to be referred to as 'Siren Malta' or the 'Most Bombed Island in the World' Malta was often given prominence in the world's news bulletins by the Allies and the Axis alike. 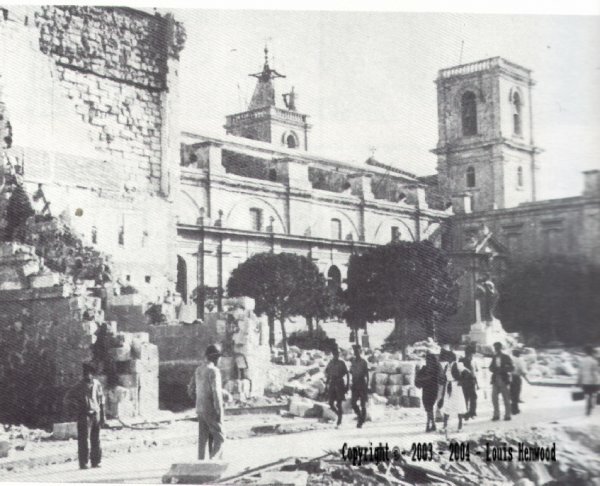 A side view of St.John's Co-Cathedral, the magnificent church escaped with slight damage. 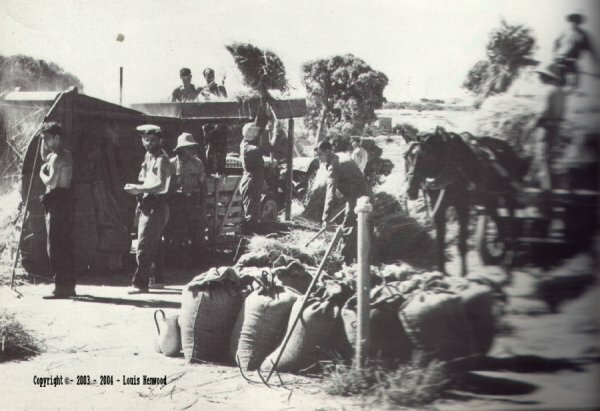 Farmers and servicemen get in the harvest. 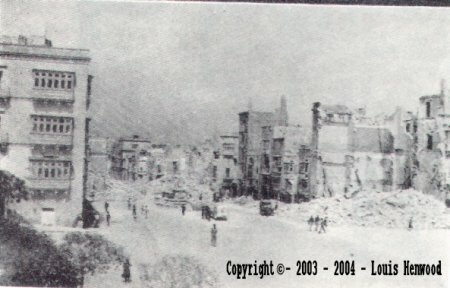 The Regent Cinema, teeming with helpers, soon after being hit on 15th February, 1942. 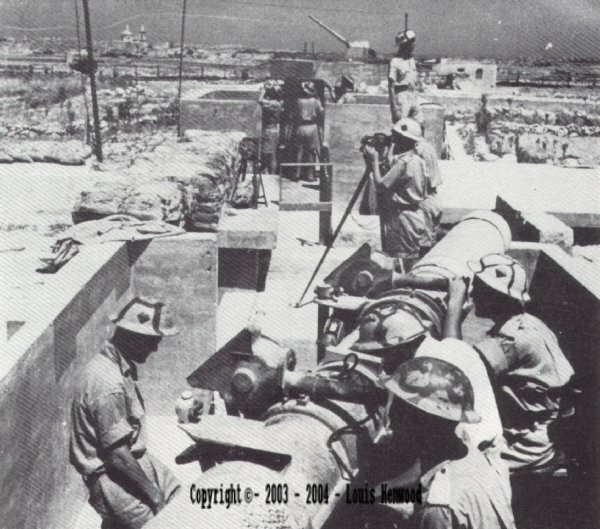 Heavy anti-aircraft gun position at St.James's Battery, between the villages of Tarxien and Luqa, equipped with height and range Finder and Predictor, the former instrument supplied information for the Predictor calculations, while the Predictor forecast the likely position of the aircraft. 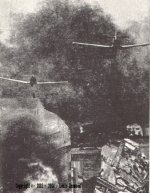 Many young men in their early twenties possessing qualities of leadership, initiative were given officer status in A.R.P. 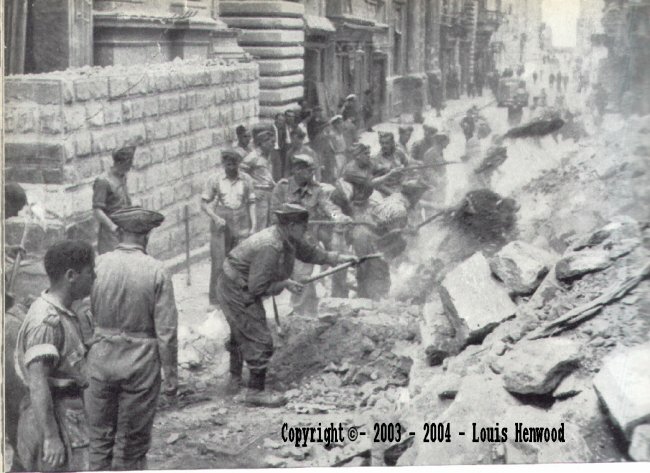 Organization, Special Constabulary, Health Inspectorate and Welfare Services. 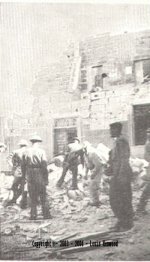 During the first six months of the war, the Civil Defence (A.R.P.) 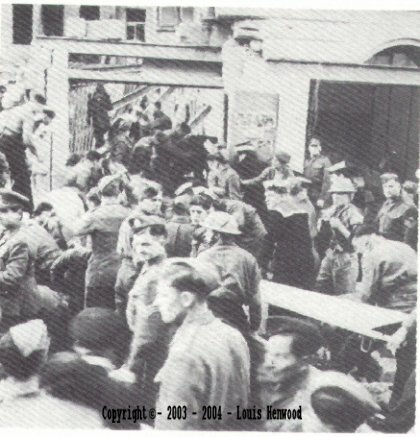 and Demolition and Clearance Units went into operation, the rescue of persons from demolished homes took place regularly, new recruits got their training at first hand as they helped their more experienced colleagues, by January 1941 when the Germans blitz started, the men had enough experience and the great majority were able to face the ordeal admirably. 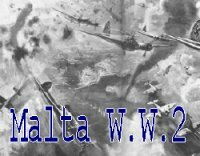 The battle of Malta is referred to by the Maltese as the Second Siege: The first having taken place in 1565: January 16th 1941 marks the beginning of an other Siege. 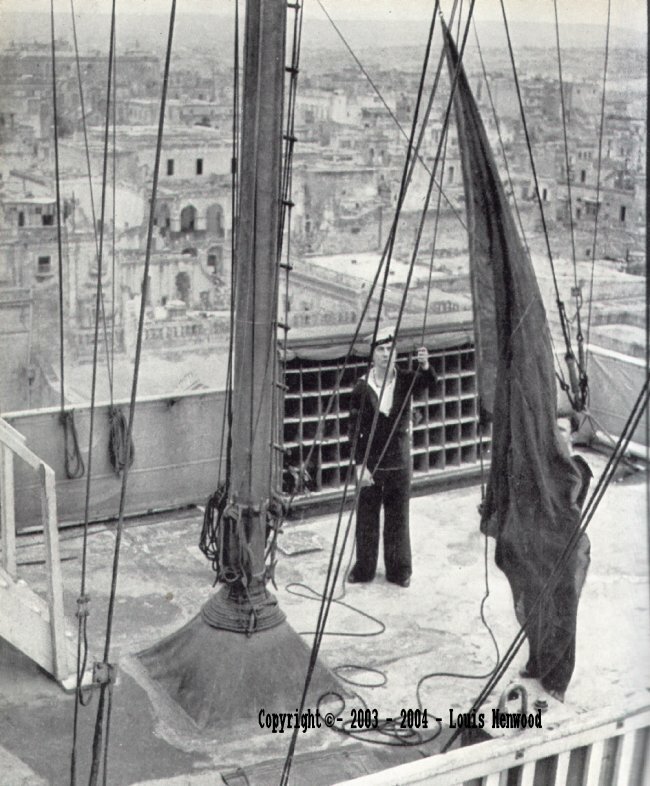 Warnings of air raids were given by conventional sirens and the raising of a Red Flag over the Governor's Palace. 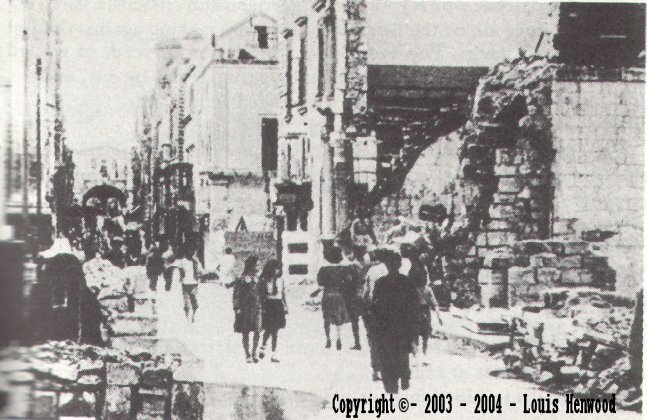 The Maltese people take little heed of the wail of the sirens, which warn the island of an impending raid, but they always keep an eye on the signal in Valletta, where a red flag is hoisted on the near approach of hostile air aircraft, when the red flag goes up everybody goes to earth in the underground air raid shelters, and stay there until the All Clear sounds, the only exception among the civil population are those who help in the defence and protection of Malta, the flag sometimes flies for as long as six hours at a stretch. 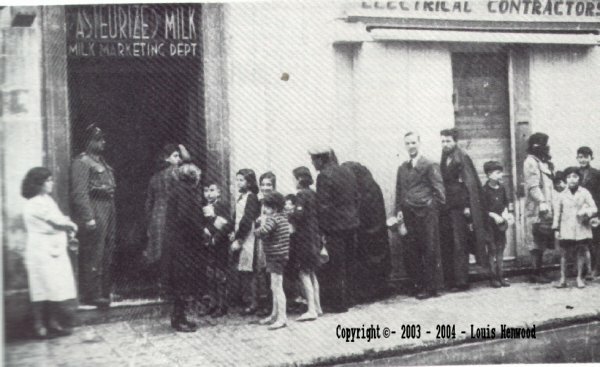 Queuing for meals outside a Victory Kitchen. 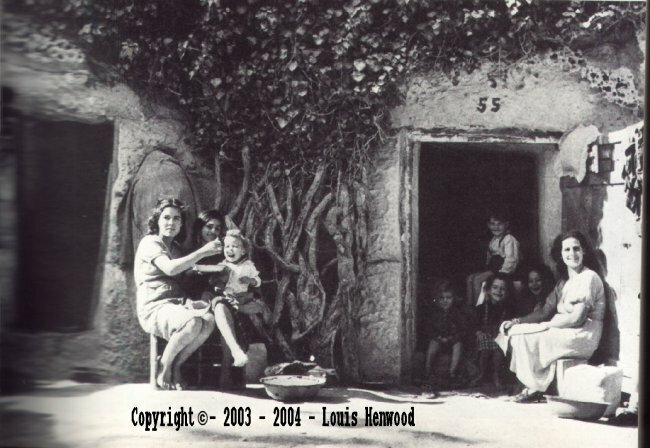 these where kitchens which where placed in various places around the Island to provide food to the people since food was scarce each family had ration coupons according to the size of the family To keep the precarious situation under some measure of control, the Communal Feeding Department had been set up in January 1942, under the directorship of Mr.R.Wingrave Tench OBE. 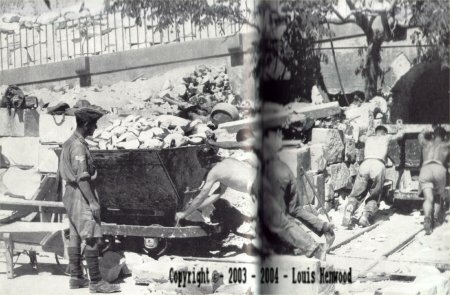 The soup kitchens originally set up by Government to provide meals to those whose homes had been demolished and consequently had no means of cooking, were replaced by Victory Kitchen to cater for a larger section of the population as well as to economise on food, and kerosene. 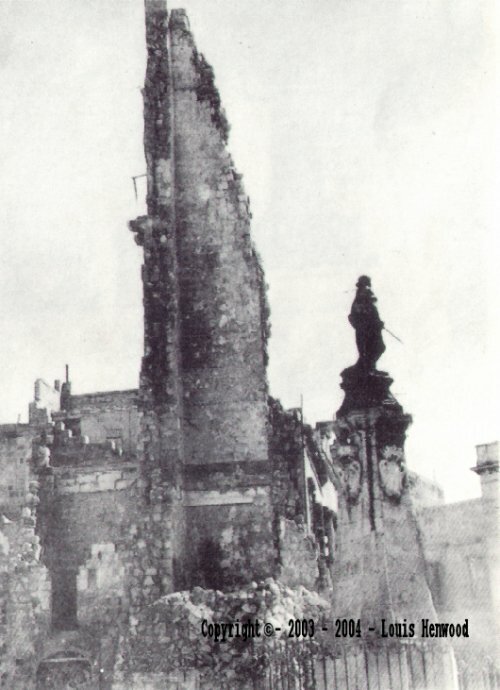 The first Victory Kitchen was opened at Lija on 3rd January 1942. 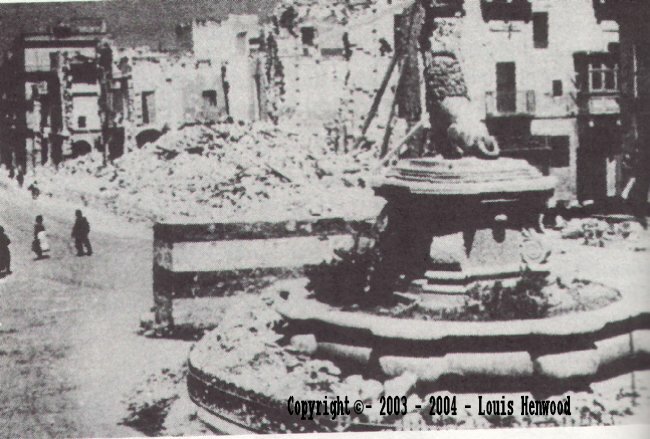 Through necessity rather then choice, Victory Kitchen mushroomed throughout the Island, in June 1942. Forty-two were functioning. 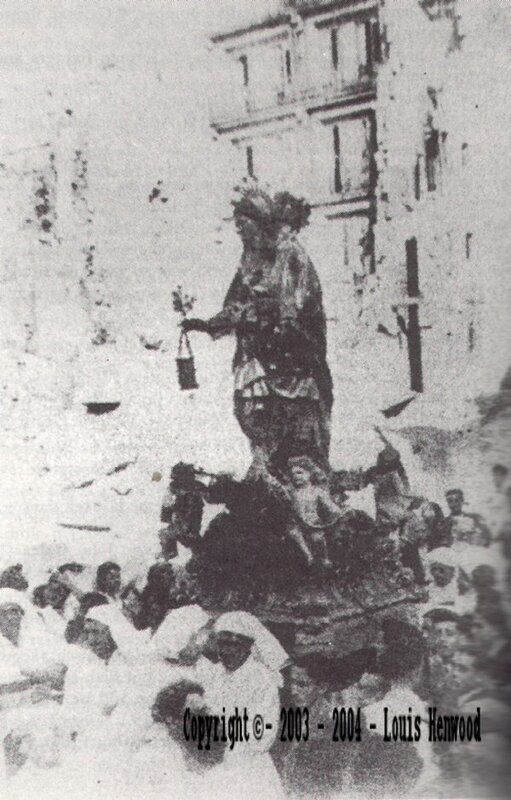 The recruitment of staff, including supervisors, storekeepers, sales assistants, cooks, and labourers, was not so easy as most men and the majority of women were already engaged on other vital work, housewives and other willing but inexperienced young ladies filled this pressing gap, through the intervention of Archbishop Mgr.Dom Maurus Caruana OSB. 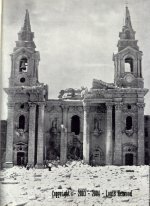 a number of Sisters from various Religious Orders were asked to lend a helping hand, by July 1942 they were running fourteen Victory Kitchens, the number of persons drawing meals from the Kitchens rose to over 100,000 in October 1942 and up to 175,536 in the first week of January 1943, when the stock of food and paraffin fell at the peak of the siege, 200 Kitchens served registered subscribers with their portion at mid-day or in the evening, against payment of sixpence a portion, the number of subscribers dropped to 20,500 by the end of January 1943, as a result of a sudden improvement in food and fuel situation. 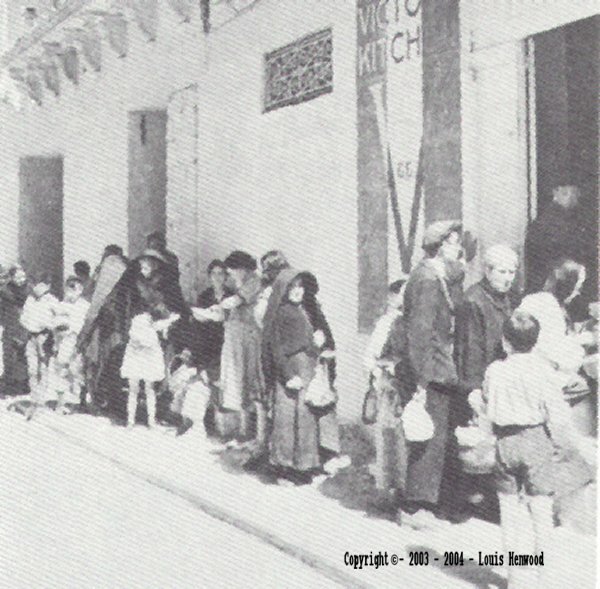 The extent malnutrition prevalent in Malta, at the time is perhaps best realized when actual figures of nutrients taken are compared to the daily amount recommended by a medical authorities. 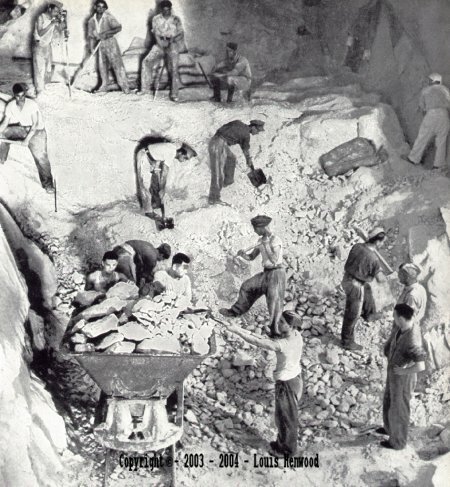 By 1942, over 1600 shelters had been constructed, from small ones to hold a limited number, to large ones in which hundreds could congregate in safety, a comforting aspect of our rock shelters was the high safety margin, the great majority could withstand direct hits, unless the entrances or the exits were hit. 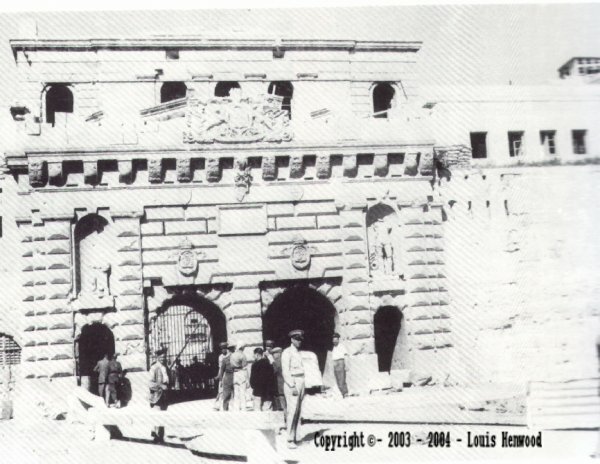 The Three Cities, Valletta and Floriana had been strongly fortified by Knights of St. John by huge bastions and ditches, the moats, were intended to cut off the cities from the rest of the island for defence purpose, the moat outside Valletta lines divides the city from the mainland, the same thing may be said of the impressive ditches separating the Cottonera lines from Paola, Fgura, Zabbar and Kalkara, the magnificent Cottonera bastions and ditches extend round the Three Cities in semi-circular shape, many of these ditches came in very handy, thousands of men started digging tunnels and rooms into them, the moats were divided into plots which were allotted to families by the authorities, after a formal application, but quite a number just did not apply or wait for permit to be issued and started digging on their own initative, in due course, the massive and high bastions of Valletta, Floriana and the Three Cities, build so many centuries ago on the solid limestone to repel a possible Turkish invasion, now shield large number of civilians population from aerial bombardment. Victory kitchen, these where kitchens which where placed in various places around the Island to provide food to the people since food was scarce each family had ration coupons according to the size of the family. 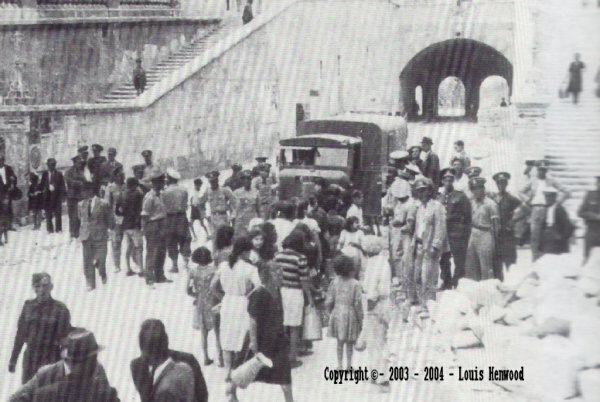 At Merchant Street Valletta queuing for bread distribution from a mobile canteen. 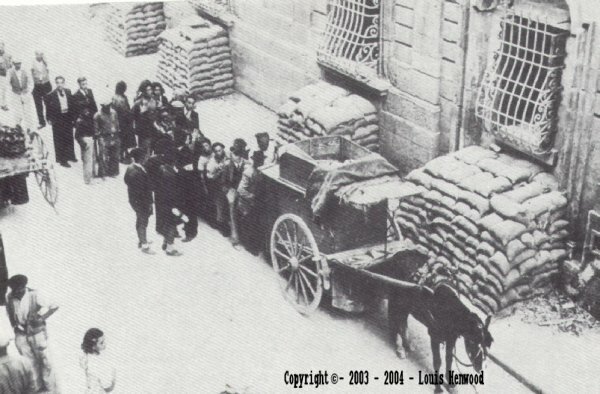 Policemen supervising the distribution of water inside Kings Gate, Valletta. The Victory Kitchen have been catering for a hard tried public, existing under siege condition of acute severity, when not only food but fuel was short, the siege kitchen of Malta provided the means by which all were hungry together, and nobody starved outright, the majority knew not as a Lenten fast, but as a daily occurrence and the meaning of the Lord's prayer 'give us this day our daily bread' took on a living significance,for the first time since British rule, death in Malta out numbered births. 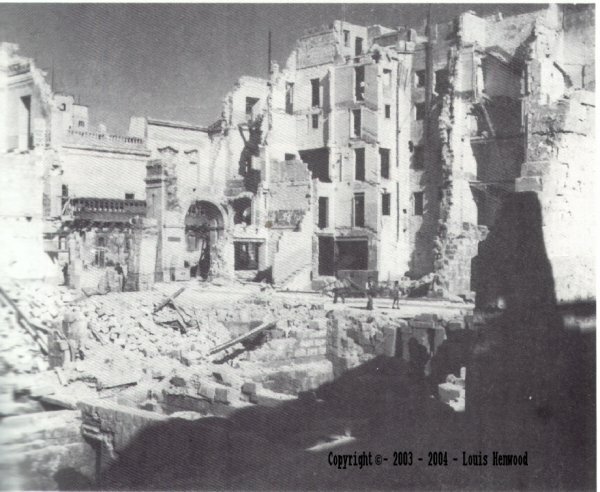 A mass air raid shelter in Valletta there where individuals who had dug their own private Shelters for their own families Praying to help all from Enemy bombing If their houses are destroyed they set to work to build again some sort of shelter from the wreckage Some of the private shelters in the ditch of Vittoriosa. 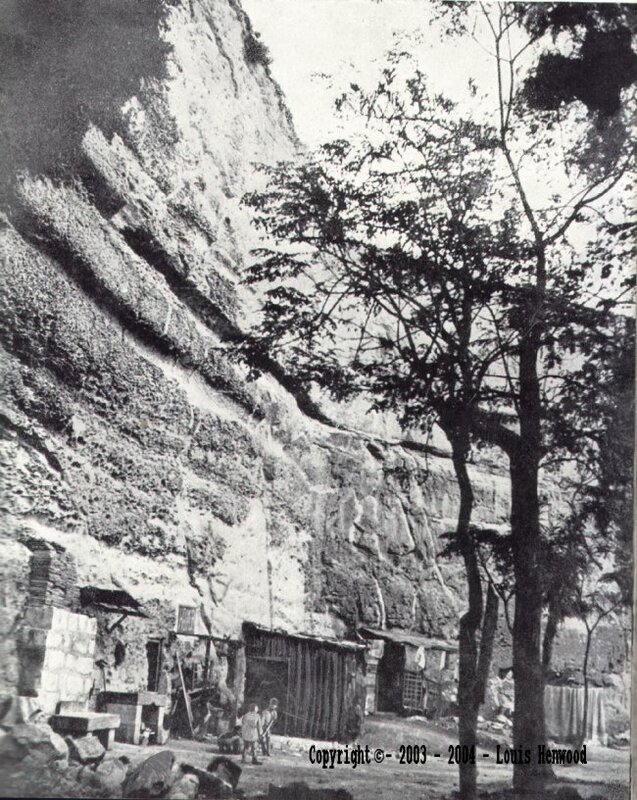 Life in the rock shelters. 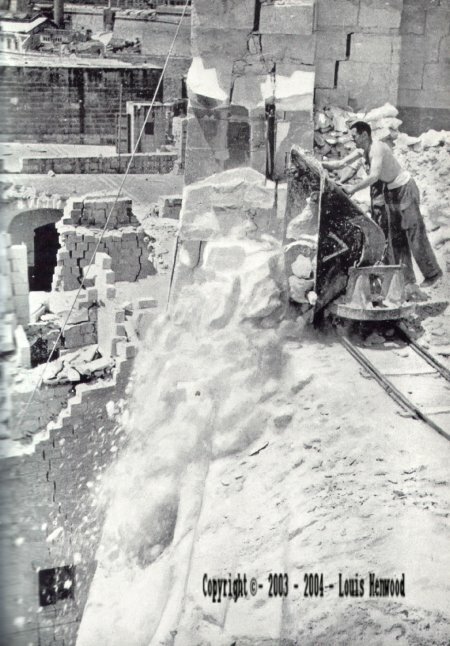 British coal miners, from Wales, Scotland, Yorkshire and Durham serving with the Royal Engineers in Malta, soon applied their special knowledge to the task of cutting out shelters in the soft limestone rock. 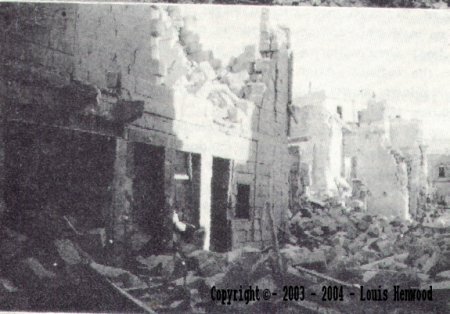 The picture on the left shows a scene in the business quarters of Valletta after a raid has finished,while troops sent to clear away the debris. Through the tide of war has swept over Malta many times in history, it has never before left such a trail of devastation. 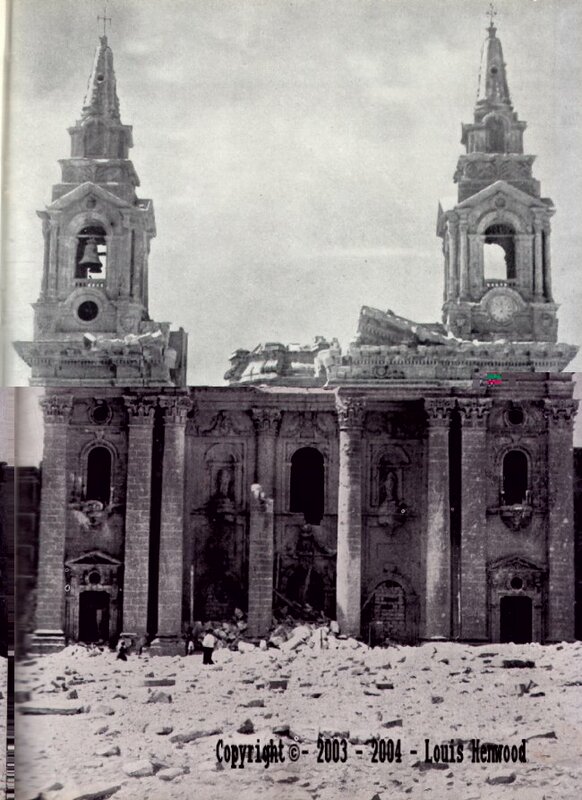 The church of St.Publius was built in Publius memory, in AD 58,St.Paul the Apostle, while being carried to Rome to stand his trail before Caesar,was shipwrecked on Malta, he was made welcome by Publius, a Roman and the chief of the island, during his stay St.Paul is traditionally believed to have converted the islanders to Christianity, and Publius to have become their first bishop. 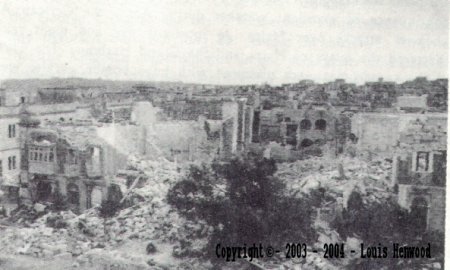 The church has been almost totally wrecked. 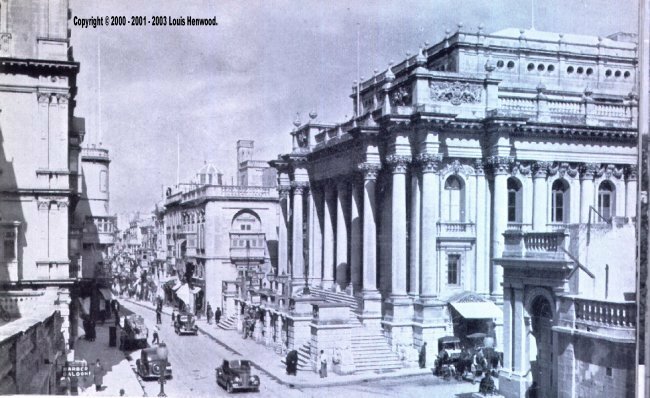 In Valletta was considered among the finest of its modern buildings, you can see it on the right standing in magnificent Valletta finest Street,Strada Reale, known as Kingsway,to day its called (Republic Street). 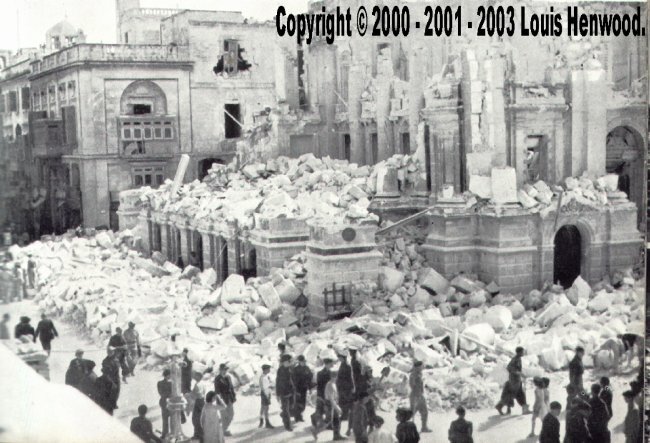 The Royal Opera House in Valletta. 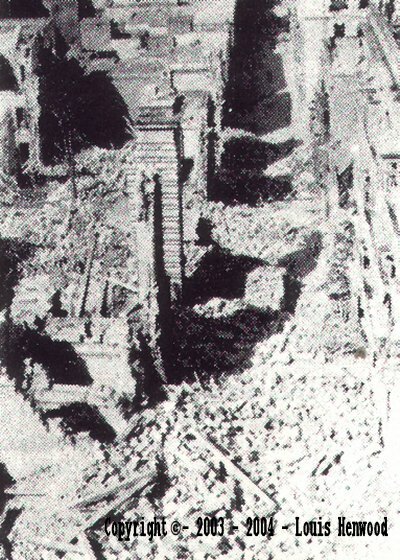 This picture shows the wreckage of the same building after a devastating air raid. 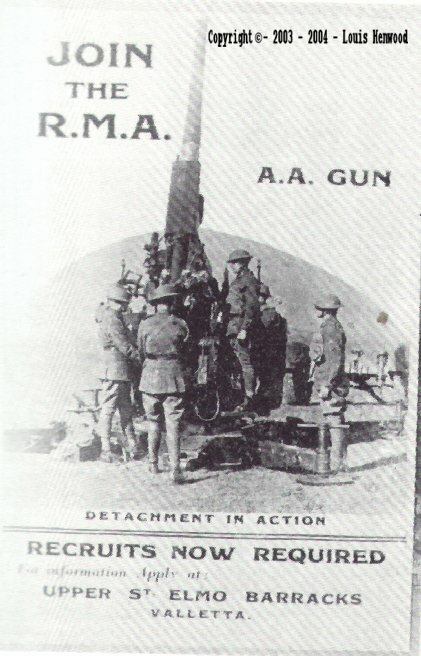 A recruitment poster launched as far back as 1939, during mass parish priest read out a notice stating that recruits were urgently required for the Royal Malta Artillery. 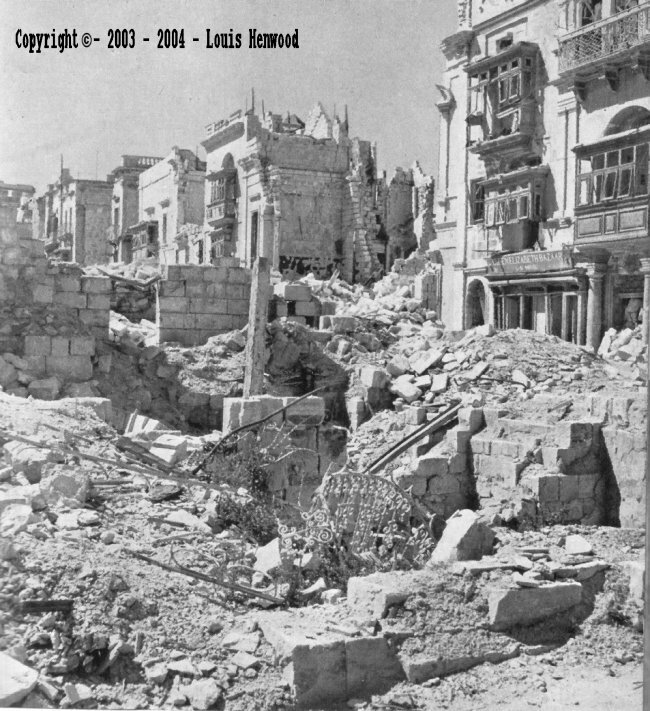 Valletta Kings way to-day known as Republic Street, after a bombing.